The Criminal Law Department at Davies Blunden Evans is led by James Foster who represents clients accused of a broad spectrum of offences from road traffic offences to murder. The initial police interview of a person suspected of committing a criminal offence is arguably the most important stage of criminal law proceedings and it is paramount that you are represented during your interview. Having a solicitor present at your interview means that you will likely be dealt with more expeditiously and your solicitor will also be able to obtain details of the nature of the evidence against you and advise you upon it before you are interviewed. It is vital that you interview is conducted properly in accordance with the Police and Criminal Evidence Act 1984 (PACE). Everyone is entitled to free and independent legal advice at the police station and therefore you will not have to pay for a member of our team to represent you during police interview. It is unlawful for a police officer to dissuade you from taking legal advice. If you are arrested then ask for Davies Blunden & Evans when you are offered the right to a solicitor. If you are requested to attend a voluntary interview under caution, then contact us immediately to arrange our attendance. We have solicitors on call 24/7 to represent you; just call our emergency out of hours number. We also provide specialist representation at interviews by the FCA, Trading Standards and the Local Authority. Davies Blunden & Evans have represented suspects in some of the most notorious criminal proceedings attracting national press coverage. This includes allegations of murder, drugs importation and large scale fraud. We maintain close relationships with some of the countries top QC’s and barristers chambers to ensure you receive quality representation in, what can be life changing proceedings. We hand select our barristers, usually from London chambers, to ensure you receive the most specialist advice and representation at the Crown Court. This firm represents those charged with serious fraud offences and will guide you through complex confiscation proceedings under the Proceeds of Crime Act. We instruct highly qualified forensic accountants to ensure the best outcome is achieved at your confiscation hearing. In respect of allegations of possession of indecent images we regularly retain the services of computer forensic analysts to investigate potential defences of hacking, viruses and other possible perpetrators. 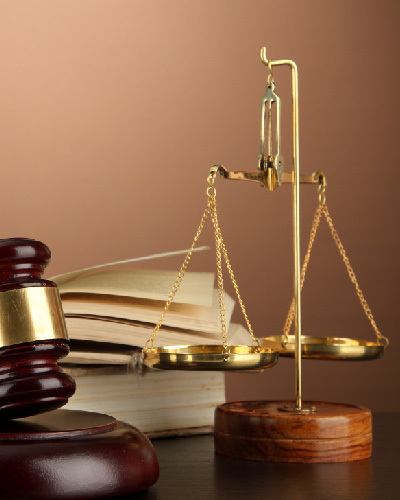 We represent clients appearing before the Magistrates Court on a daily basis. Allegations routinely heard in the Magistrates Court include shoplifting, assault, drugs offences, prosecutions brought by the RSPCA, Trading Standards or the Local Authority for benefit fraud or fly tipping. Davies Blunden & Evans have a reputation for thorough preparation and fearless advocacy on their clients behalf. We are also approachable and highly sensitive when providing assistance to young people who appear before the Youth Court facing any type of allegation. R v D: Successfully avoided a mandatory disqualification on the basis of ‘special reasons’ for a victim of domestic violence who had fled the scene of a threatening situation at the marital home. R v G: Defendant maintained that his drinks were spiked at a party. Expert evidence called by the defence and no disqualification was imposed. R v M: No disqualification imposed after the defence argued ‘special reasons’ based on the shortness of distance driven by the accused whilst over the prescribed alcohol limit. R v S: Defendant caught speeding on 8 separate occasions by the same camera attracting 24 speeding points and facing 6 months or more disqualification. Successfully argued for a discretionary disqualification of 1 month. R v SH: ‘Totting up’ ban avoided by successfully arguing that a company director and his employees would face exceptional hardship were he to be disqualified from driving. Anyone interviewed under caution by a police officer is entitled to free and independent representation. In relation to Magistrates Court and Crown Court proceedings, legal aid is not automatic and must be applied for based on your financial situation. We will provide specific advice as to whether you qualify for legal aid. If you are not eligible for legal aid, then we offer competitive private rates and usually operate on a fixed fee basis.